1. It is generally best to set your specific intercessions within the larger context of prayers for the church, nation, world, local community, all those who suffer, and the departed. The Prayers of the People in the prayer book are helpful, page 383f. 2. Praying by yourself, you can give more attention to each person on your prayer list than we can do in liturgical worship on Sundays. You can pause with each name, giving them more time. You can bring their face to mind, if you wish. You can bring to mind a specific issue you may be aware of. 3. Sitting in quiet with each name (and/or picture), without specific requests, is sometimes most appropriate. 4. If you have or desire a practice of the Anglican rosary then it would be possible to incorporate their names into that prayer form. 5. When you have specific requests then you can name them. We never know whether what we want (or what they want) is always best but we can name specific requests with good intentions. We can be bold when we need to. 6. We pray in love, even when we may not know what is best, and we pray trusting in God’s will. 7. When anxious or in a hurry, it matters to just name their names with attention, whether or not you do a “formal prayer”. 8. Intercessory prayer often increases awareness of the ones we pray for. It is therefore natural that you may follow up your prayers sometimes with some specific outreach to someone who is especially on your mind. 9. Pay attention to when someone is especially on your mind. 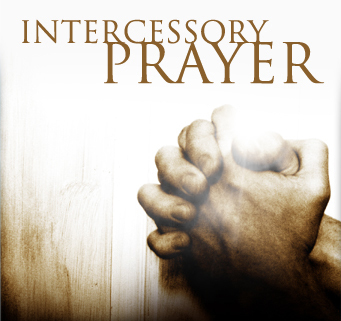 Would you like to be part of the Intercessors Team here at Grace?